I offer a one-on-one introductory workshop which will cover everything you need to know to start making your own encaustic paintings. 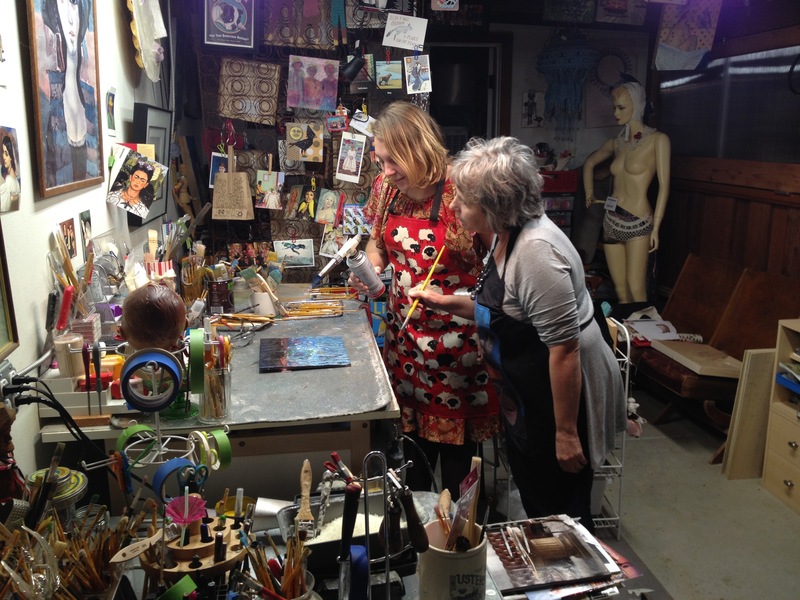 In a four-hour private session, you will learn what equipment is needed, how to set up a work space, and basic painting techniques. You will produce a small encaustic painting to take home. Warning: you may become as hooked on the process as I am. $100 for instruction + a $30 materials fee. Contact me for more information or to schedule a workshop.